Claire Johnson is reportedly being held in a Thai immigration detention centre. A SYDNEY woman has sent a desperate plea to friends, asking for help after being detained in a Thai detention centre after trying to fly home from Bangkok. 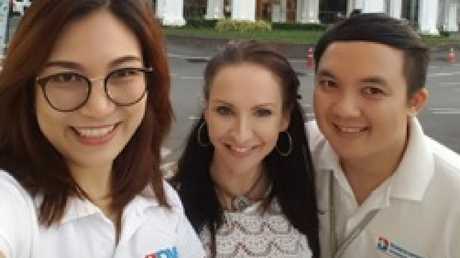 Claire Johnson, who describes herself as medical tourism promoter, photographer and freelance journalist, was on her way home after spending a year abroad on a travelling and working holiday, when she sent a message that read "help me" to a friend in Australia. 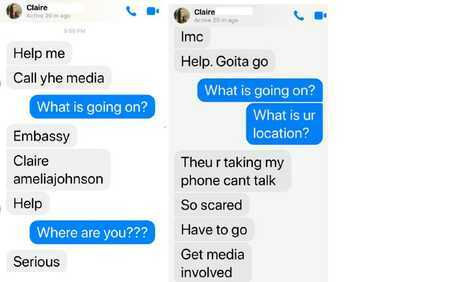 The recipient of the text message, Juliet Potter, told news.com.au the frantic texts were received Monday afternoon, and that she hasn't been able to contact her friend Ms Johnson since. Claire is reportedly concerned for her safety. According to Ms Potter, Ms Johnson - a mother of two - was reportedly due back in Sydney on January 8th 2019, but instead she was detained and has been in a detention centre in Bangkok ever since. Ms Potter believes Ms Johnson might have "outstayed her visa by accident", which is why she's been held by authorities. Her last Facebook update, which was posted on the day she was due to arrive home, read "All adventures end with a bang bang" while checking in to Bangkok. 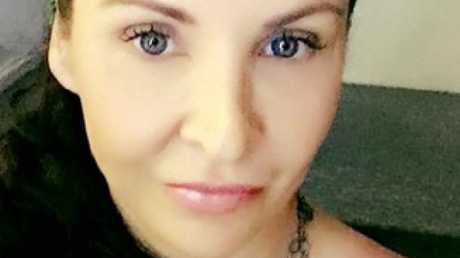 "Claire went overseas to travel and work for a year, and was on her way back through Thailand to come home to Sydney," Ms Potter told news.com.au. "After her divorce, she basically sold everything and went overseas by herself, and it was time for her to come home back to Sydney. She was going to stay in a flat I have when she got home. I was excited to have my friend back … but looks like that's not happening any time soon." Ms Potter, who works at a Sydney PR firm, said Ms Johnson was asked to pay a fine by police and have a current plane ticket booked in order to leave the country. It is understood another friend of Ms Johnson's paid the 3000 Baht fine ($A130) and put her on a Garuda flight on Saturday 12th January to return back to Sydney. But Ms Johnson claims she was still unable to leave the detention centre on the weekend, despite paying the fine and having an airfare book, prompting her to send a string of desperate texts to Ms Potter for further assistance. The last texts Ms Potter has received from Ms Johnson, who is in a detention centre in Thailand. "Help me," Ms Johnson's text to Ms Potter read. "Call yhe (sic) media. "Help. Goita go. Theu (sic) r taking my phone cant talk. So scared." Ms Potter, who has transferred her friend a total of $900 since last week, said Ms Johnson's final text were the last messages she'd received from her friend since Monday, and believes she could be in "great trouble" in the detention centre. "I feel like I should've done something sooner," she said. "I'm extremely concerned for her … God knows where she is and who she's with. There's just no detail on where she is. "She's a very attractive woman and I am concerned for her. She's the mother of two children. She just needs to come back home." Claire Johnson, centre, works in nursing around the world. In a statement to news.com.au, The Department of Foreign affairs and Trade said they are providing assistance to "an Australian woman detained in Thailand". "The Department of Foreign affairs and Trade is providing consular assistance to an Australian woman detained in Thailand in accordance with the Consular Services Charter," the statement read. "For privacy reasons we are unable to provide further details." 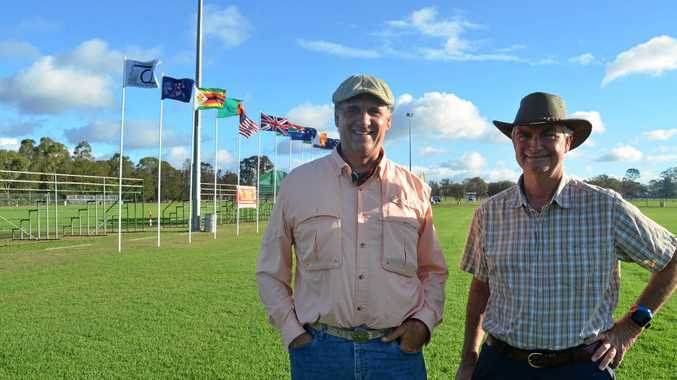 News POLOCROSSE pioneers are in Warwick this week learning all they can about the Aussie sport that's booming across the world.